Welcome to Richardson Cove in Eastern Tennessee, our secluded cabin in the woods. This cabin has two bedrooms, three bathrooms, and can accommodate up six adults. This cabin comes load with all the amenities you expect from an SMBYO.com property. Large outdoor hot tub, spacious bbq grill and a large wraparound deck so that you never have to leave the comfort of your cabin to enjoy everything nature has to offer. 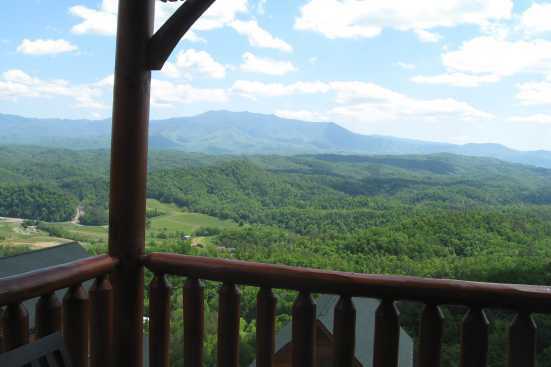 Richardson Cove offers a unique way to experience the Smoky Mountains not seen by most. With proximity to the less populated parts of Smoky Mountain National Park, it will feel as if you are isolated in your own personal nature preserve. If night life and live music are more your forte, simply hop in your car and head up the road a few miles to Pigeon Forge or downtown Sevierville. From live music and roller coasters at Dollywood Amusement Park to Titanic Museum Pigeon Forge and Sevierville has something for everyone. There are also plenty of boutique shops and major outlet shopping centers for those of us looking for retail therapy. SmokyMountainsByOwners.com has everything you need to plan and book your Eastern Tennessee adventure. From a spacious hot tub to a beautiful wraparound deck there isn’t a better place in the country to experience the wilderness in all its natural beauty.